Have you ever found a location or an interesting spot on a map that you want to share with someone else? 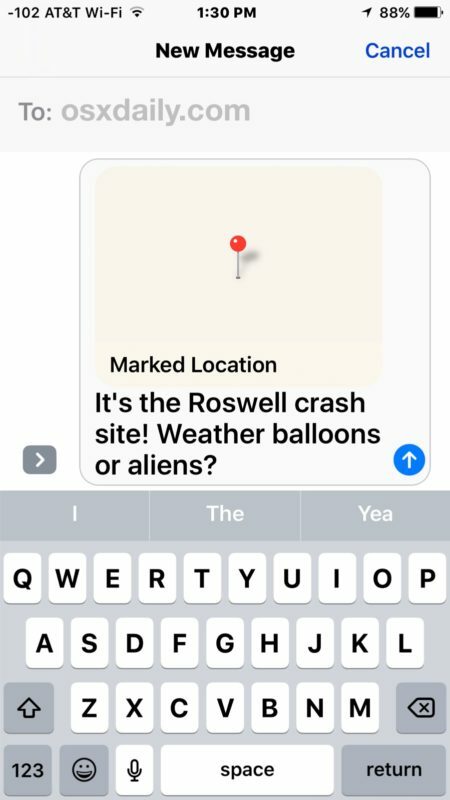 Using the iPhone Maps app, you can easily mark a location on a map and then share that marked pin with someone else, giving them the exact pinned location. This great feature has many obvious purposes for directions, but it’s also a handy trick for many hobbies and professions. 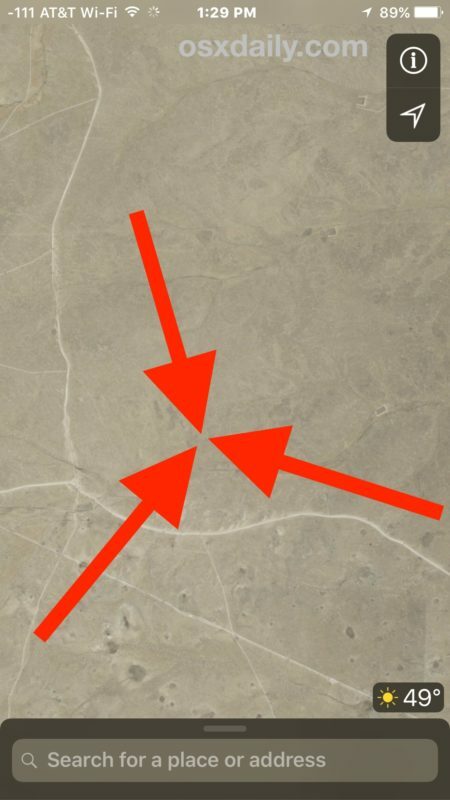 Let’s show how to mark a location on a map using iPhone, and then how to share that pinned spot with someone else. 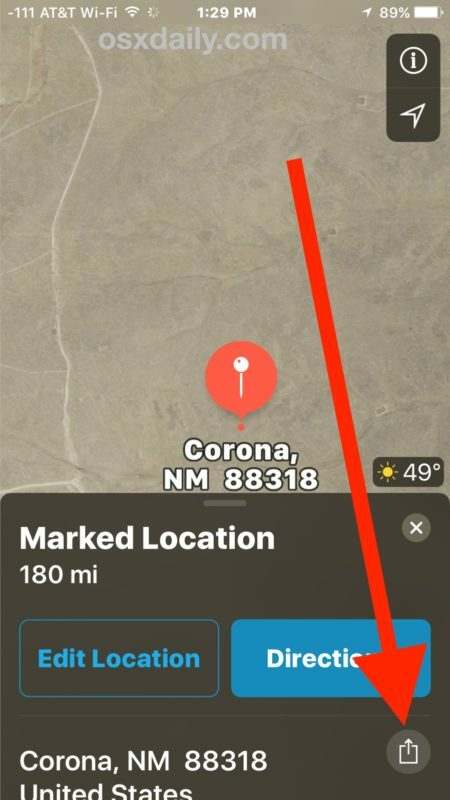 In this demonstration walkthrough, we’ve mapped a specific remote location using the iPhone Maps app, and then we’re sharing that exact pinned location with someone else using the Messages app. 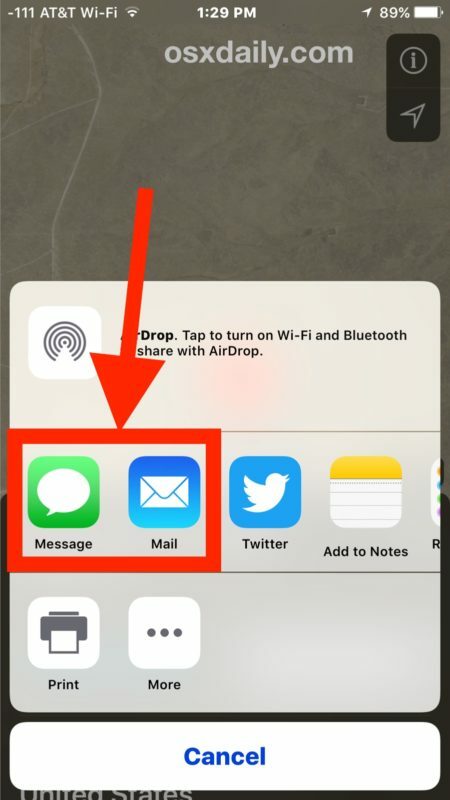 You can obviously map, pin, and share any spot with this trick, and you can share the location with messages, email, twitter, Facebook, or add it to a list in an app like Notes. This is a fantastic trick for generic directions, but many professions and hobbies will also find this mapping and sharing location feature invaluable. Want to share the location of a specific landmark? No problem. Maybe you want to meet someone at a specific park bench, or maybe you want to share a great viewpoint with someone. Or maybe you just want to share the location of a particularly tasty taco food cart. Whether you’re a hobbyist, explorer, realtor, or work with geography, this is a really wonderful feature for you to use. We’re demonstrating this with the Apple Maps application, but you can perform the exact same trick with Google Maps on the iPhone or iPad as well, which also supports pinning locations and sharing locations in a similar manner (albeit very slightly differently in interface). 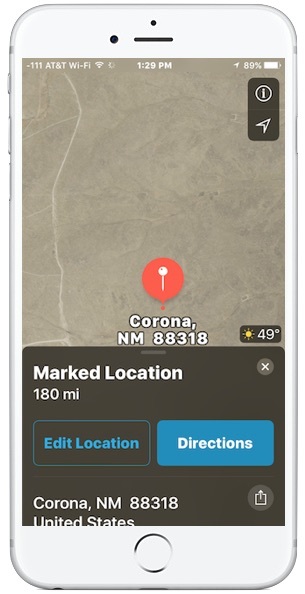 By the way, if you want to share a location with someone who doesn’t have an iPhone (or Android), you can get the GPS coordinates of a location using iPhone instead and send those to someone. While this applies to the iPhone and iPad and mobile Maps apps, you can also share a Maps location from the Mac just as easily too. One final note, if you’re using this to share your current location with the same person repeatedly, another approach is to just use the Share Current Location feature directly from Messages on iPhone, which allows you to share your location ongoing with another person that has an iPhone. Have any other interesting Maps tips for iPhone? Let us know in the comments! “momentarily” means “for a moment”. Does that mean that the red pin disappears after a short while? I don’t think so. Only in North America ! The red pin appears shortly (momentarily) after you tap and hold to drop one on the map, why don’t you try it and you will see how it works? Are you that caught up on your interpretation of a word? Sad! It also means “at any moment; very soon” It means the red pin will appear in a moment. Alan you are wrong, the Maps pinning feature works in any country where the Maps application exists for iPhone.